The cloud has proven to be an extremely useful tool for the modern business. Not only does it provide anywhere-anytime access to applications, processing, storage, et al; it also delivers those products as a service, allowing you to budget for recurring costs rather than major upfront ones. This provides your organization with functional, supported, and secure computing environments that eliminate a lot of the support costs that traditional computing environments require. It sounds like a perfect scenario for small and large businesses alike, but things aren’t always what they seem, as a lot of cloud users have found that they have incurred several hidden costs by using cloud platforms. Today, we take a look at these hidden costs. Having to put forth more effort to properly manage vendors, and their corresponding Service Level Agreements (SLAs). Bottlenecking and the impact poor cloud performance could have on brand perception, productivity, and customer support. The increased cost of solving complex problems inside cloud environments. Are these concerns justified? Sure, but they are hard to measure. Many businesses just haven’t developed a system to properly quantify the perceived loss in revenue tied to cloud inefficiency. In fact, most companies don’t have updated, automated methods in use to track and manage their cloud performance. Many organizations also run into cloud cost overruns when dealing with the scale of their cloud platforms. Costs associated with over-provisioning (buying too much), under-provisioning (buying too little), management, and administration of cloud hosted environments present costs that may not look significant up front, but over time can have negative effects on the overall profitability of a business. Understanding the amount of space/processing you’ll need to meet your organization's needs is almost always going to be a fluid situation, but understanding how they affect your business’ bottom line is crucial to mitigate unwanted monetary responsibilities or cost overruns associated with the cloud platforms you utilize. Cloud platforms are nice, but you don’t have to look much further than your personal situation to see how the ease of use these platforms provide can get expensive pretty quick. For the individual, costs add up quick thanks to cloud-based streaming media and other platforms that come in a subscription model. You’ve got Netflix, Spotify, Hulu, and many, many more that are relatively cheap. Microsoft Office 365 is exceptionally useful and affordable, providing unparalleled value for about any computer user. The more you subscribe to, the more costs add up, which is why you’ll want to design, and stick to a dedicated plan to avoid overextending yourself, or your organization. Utility computing in the cloud, whether it be applications, storage, processing, or some other form, is extraordinarily valuable, but only if you understand how to avoid paying more than you should for your cloud assets. The knowledgeable technicians at 1 Accord Technologies can help you come up with cloud deployment strategy, while also helping you avoid cost overruns typically associated with these assets. Call us today at (706) 473-0669 to learn more. Customer Centric Business Development Executive with a demonstrated history of working in the information technology and services industry. Skilled in Executive Development, Sales Management, Executive Coaching, and Public Speaking. Strong business culture development attributes. 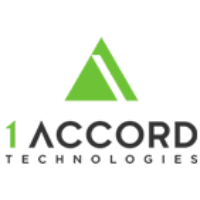 Monday, March 04, 2019 1 Accord Technologies launches new website! 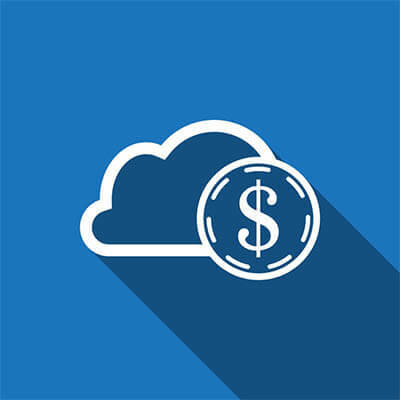 Thursday, February 28, 2019 Is Your Cloud Solution Actually a Money Pit? Copyright 1 Accord Technologies. All Rights Reserved.